Home / غير مصنف / Llama, Fox and Crab Fortnite Challenge SOLVED: Where are they in Season 3? Llama, Fox and Crab Fortnite Challenge SOLVED: Where are they in Season 3? New Challenges are being added to Epic Games’ Battle Royale mode every week. But as they all stack and can be completed whenever a player likes, it means it’s worth keeping up with some of the easier ones. WHERE IS THE LLAMA, FOX AND CRAB IN FORTNITE? The locations for this popular Fortnite Challenge have now been revealed and can be completed with ease for your Season 3 Battle Pass rewards. And with their being 100 tiers of loot to unlock in the new Battle Pass, players need all the help they can get. Luckily, Fortnite fans have been sharing a new map which can show you the way to all three locations. The gallery below gives a visual aid for those who are having trouble finding the locations in-game on PS4, Xbox One and PC. As mentioned on the forums, these places might not be the best starting locations, so you might find yourself finishing a little lower in the ranks than normal. It’s probably best to finding the Llama, Fox and Crab over three games, meaning only three rounds will be needed to grab that Battle Star. FORTNITE FOX LOCATION - Can be found on the edge of the northeastern corner of the map, near the Wailing Woods. The Fox is made out of brick and should be pretty easy to spot. FORTNITE LlAMA LOCATION - Can be found on the edge of the northwestern tip of the map, near the border of Junk Junction. The Llama is made of sheet metal and is a little harder to make out. 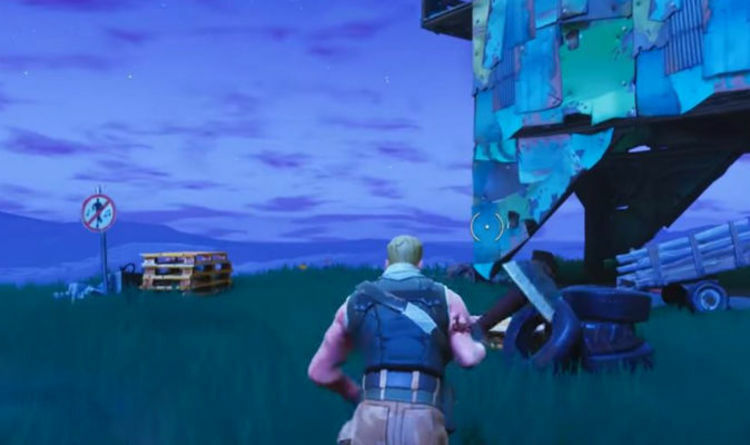 FORTNITE CRAB LOCATION - Can be found on the edge of the southeastern area of the map in the moisty mire. The Crab is made out of Wood and includes some loot within it. The Fortnite season 3 Battle Pass, which comes in Fortnite patch V.3.0.0, brings new weapons, skins and the 60FPS mode for console. In total the Fortnite season 3 Battle Pass will take up to 150 hours for fans to complete. The Fortnite season 3 Battle Pass can only be bought with V-Bucks, not real world money. The Fortnite season 3 Battle Pass is priced at 950 V-Bucks. There are also other challenges that can be completed, with more on the way. Week 4 Challenges will be going live in the next few days, with the game’s next update going live on March 14.